ICTO has launched the online diagram application, Lucidchart for the use of all students and staff members. Lucidchart is an online diagram application which helps users to easily sketch and share diagrams, like flowcharts, organizational charts, mind maps and Unified Modelling Language (UML) diagrams. It is a web-based alternative software to Microsoft Visio. After completing the registration, you are entitled to use the following premium features for free. Before registering Lucidchart, please apply for Office 365 ProPlus. After registration, please wait approximately 4 hours for the Office 365 ProPlus account to be ready for use. 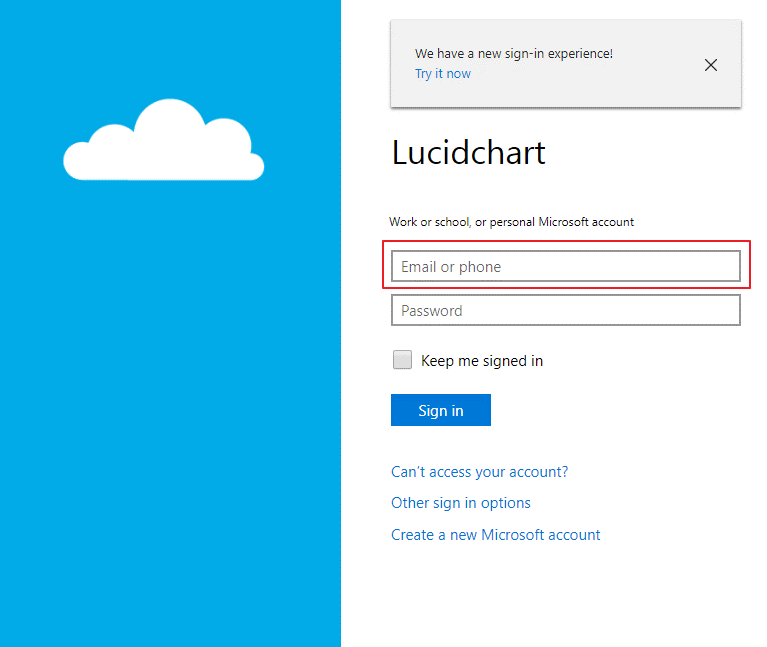 Once the Office 365 ProPlus account is ready, you can follow the “Create a Lucidchart account” part to register for Lucidchart. 1. 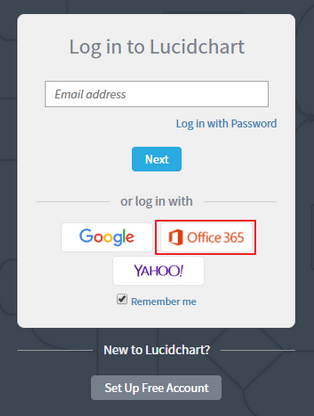 After registration, please visit https://www.lucidchart.com/users/login and click “Log in with Office 365”. 2. 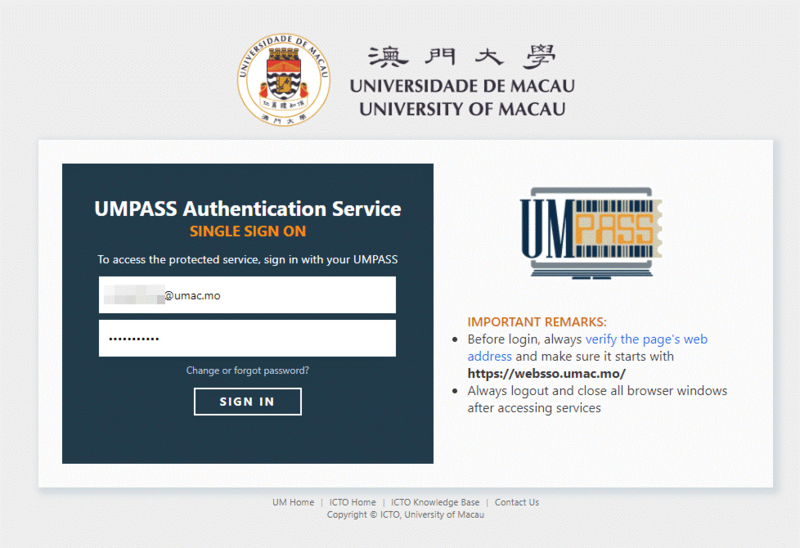 Enter your UM email address in Office 365 login page, you will be redirected to UMPASS Authentication Service Login Page. 3. Enter your UMPASS ID and password, then press “SIGN IN” to access Lucidchart. The Lucidchart is a public cloud service. It is suggested to store non-sensitive data and for personal use only. For staff, please be reminded to read the Guidelines for Handling Confidential Information for details. You are required to renew the educational license every year. For license renewal, please refer to “Request an educational upgrade” part. For more details about Lucidchart, please refer to http://icto.umac.mo/software/lucidchart/.